WING CHUN (詠春) is a concept-based Chinese martial art and form of self-defense utilizing both striking and grappling while specializing in close-range combat. It is a relatively young martial art, with most historians agreeing that it developed in southern China approximately 300 years ago. Wing Chun began to quietly spread throughout southern China, evolving as it was adopted into various groups. 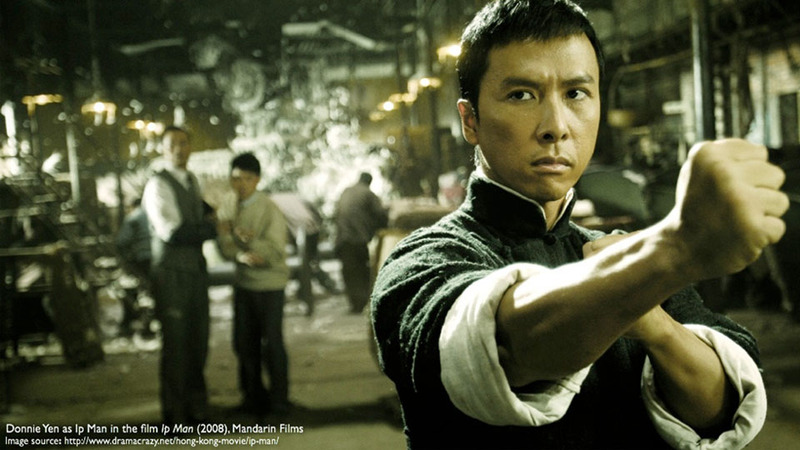 It gained popularity when Grandmaster Ip Man began to teach openly in China and Hong Kong. His students continued the evolution, and spread Wing Chun all around the world. Today, many people have learned of Wing Chun through the late martial arts superstar Bruce Lee or through the popular Ip Man series of movies. The main reasons that Wing Chun has grown in popularity is that (1) it is very practical in the modern world, (2) it can be learned in a relatively short period of time, and (3) it can be practiced by people of all sizes, shapes and degrees of athletic ability. Wing Chun originated in and was developed for crowded urban environments such as the cities most people live in today. It is a close-quarters system that can be used even when assaulted in a confined space like a cramped hallway, stairwell or elevator. It is primarily an empty-hands system, allowing someone to defend themselves even when unarmed. It is based on reflexive movements, training you to respond instantly and instinctually to a surprise attack as opposed to a consensual fight or sport combat match. Finally, Wing Chun is simple, direct and efficient, eliminating techniques that are not needed so much in the modern world, such as high-kicking an enemy off his horse. While many systems of martial arts require a decade or more to learn, Wing Chun was designed to be learned in the shortest time possible. With regular, consistent practice you can learn the entire core system in about two years. Mastery of the system, of course, takes a lifetime. Wing Chun can be practiced by people of all ages, sizes, shapes and degrees of physical ability. It is equally applicable to both men and women, although there is a trend for women to make progress much faster. Wing Chun uses structure rather than strength and timing rather than speed. It is also based on natural human anatomy rather than mimicking the movements of animals, so it does not require extraordinary flexibility or athleticism. Proper training in Wing Chun does, however, build both a high degree of physical fitness as well as mental focus. Consistent practice develops extraordinary sensitivity, balance, endurance and coordination. Through the forms training you will learn to quiet your mind and focus your attention. Perhaps most importantly, you will learn to relax and unwind tension from the body, bringing yourself into a natural state of structural stability and intrinsic strength. This emphasis on structure and relaxed, intrinsic strength is part of what allows a normal-sized person to effectively defend against a bigger, stronger attacker. The other part of that equation is that Wing Chun cheats. As you'll learn as you dig into the concepts and principles, Wing Chun is sneaky. It assumes that you are being assaulted without warning, at high speed, and with shocking violence. Wing Chun trains for a simple reflex response to interrupt the attack, get the attacker off balance, and put the fight on your terms. Other systems block and then attack; Wing Chun defends and attacks simultaneously. Other systems draw back or chamber their punches before they strike; Wing Chun hits without warning from any position. Other systems require a wind-up to generate force; Wing Chun uses the structure of the entire body to create power in a small space. Other systems trade strikes back and forth until one fighter is either knocked out or takes sufficient cumulative damage; Wing Chun turns on like a chainsaw and doesn't stop delivering damage until the assault has been effectively ended. The bulk of your training is not spent punching heavy bags, though. Because structural positioning will overcome sheer strength, much of the student's practice time is spent training the body to move efficiently and with great precision. Wing Chun uses a unique training exercise called Chi Sau (sticking hands) to develop this precision and economy of movement. The principle is simple physics: use the minimum amount of effort to create the maximum effect. To understand where we're going, it's important to understand where we've been. In the next section we'll look at the legends and history of Wing Chun Kung Fu from its origins all the way to the modern era with Grandmaster Ip Man.